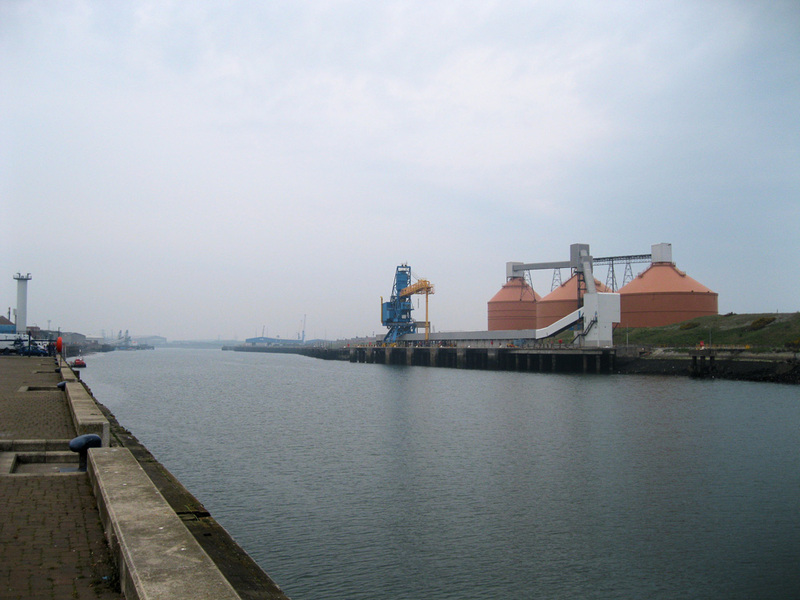 The port of Blyth grew from a small settlement of fishermen and salt workers to become one of the great coal exporting ports of England, connected by rail directly to the Percy Main colliery on Tyneside. In 1854 the Blyth Harbour, Docks and Railway Company was formed with the intention of developing and improving the port facilities and in 1882 the Blyth Harbour Commission was formed. It reached its peak as a coal shipping port by the early 1960’s. The area has always been dominated by heavy industries such as foundry work, ship building and mining. But with the closure of the rail link, the shipyard and the pits, by the mid 80’s Blyth had to diverse and change to light industries, such as clothing, electrical and small manufacturing businesses. A feature of the quayside at Blyth is the row of nine wind turbines on the pier to generate green electricity; people come from afar to view and photograph them. Nowadays, Blyth is a modern port, handling up to 1 million tonnes of cargo each year and offering a first class handling, storage and distribution service. Main Trades include unitised cargo (containers & RoRo), forest products, metals, bulks and a wide range of other commodities. Regular Liner connections exist to a variety of ports worldwide and our logistics subsiduary Transped Ltd provide a comprehensive door to door service. High quality warehousing is also provided for shipping and non shipping related use.